Below you will find a selection of projects, allowing you to explore the diversity of Evelyn’s vision. If you would like to suggest a new project then please do contact Brenda, who will be delighted to discuss your proposal. Evelyn brings her innovative brand of performance to Hugo Ticciati’s String Quartet. Julian Arp (cello), Gareth Lubbe (viola), Daniel Rowland and Hugo Ticciati (violins) have known each other for a number of years, making music together at numerous festivals across Europe. 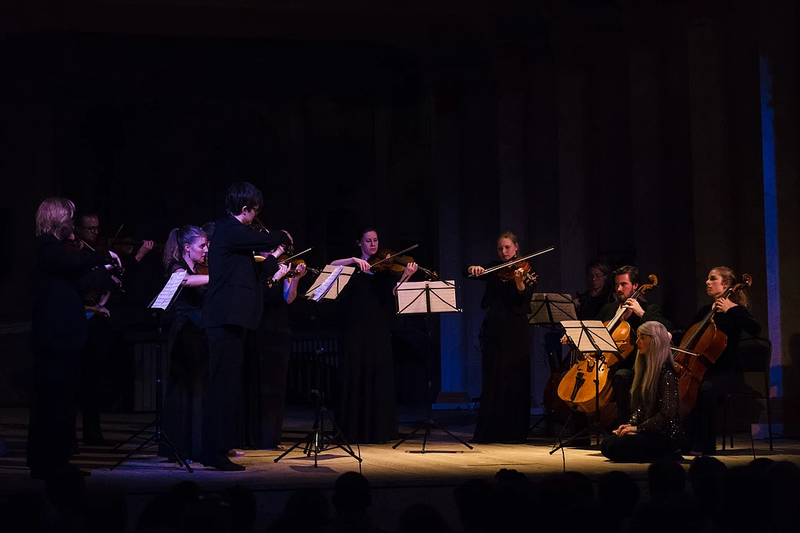 In February 2016 at Musikaliska all four musicians performed together for the first time as a string quartet, officially marking the inauguration of the O/MODERNT String Quartet. Like its namesake, Festival O/MODERNT, the quartet combines old and new music in innovative and daring ways, nurturing the hallowed ground of the great quartet tradition while challenging its established order, pushing the traditional boundaries of the form and (dare we say) releasing the quartet from the safety of its ivory tower. 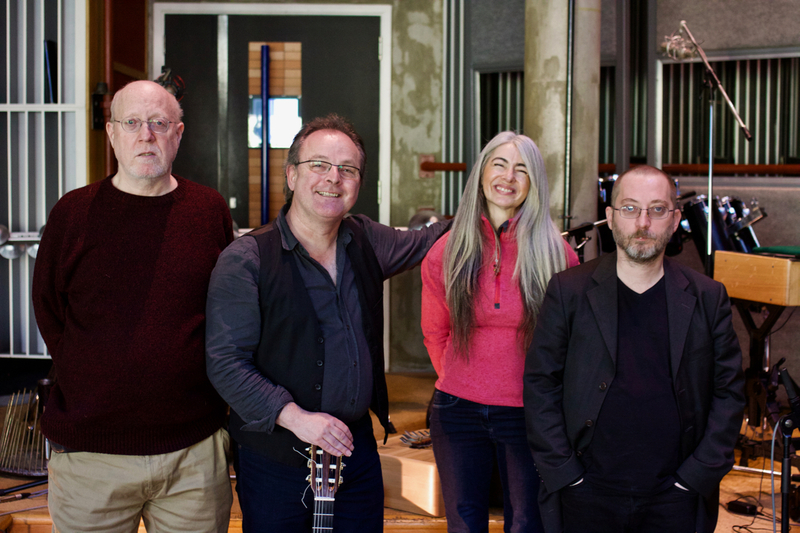 With four musicians who are used to doing things very much outside the ‘classical’ box, the quartet opens up new imaginative spaces, unraveling multiple strands of quartet playing and reweaving them to reveal unforeseen potentialities and create fresh and original musical textures. If you would like to find out more about the O/MODERNT String Quartet, you can visit this website. The history of Western Classical Music is filled with a rich legacy of great improvisers. The list is long and profound: Bach, Mozart, Beethoven, Schubert, Brahms, Franck, Chopin, Liszt, Debussy, Handel and many more. Before the now ubiquitous “Jazz” music shorthand there existed the “figured bass” shorthand (1600-1750), which allowed organists and accompanists to perform complex harmonic structures using a common numerical language to express specific chords and inversions. Evelyn adds to this improvising tradition with her new and bold international quartet ensemble. The group brings together musical traditions from four varied cultures but with a common goal: to create spontaneous music of great beauty and power which utilizes the basic formal elements of musical composition: melody, harmony, rhythm and form. Each improvised concert is a new and spontaneous work of art much like the organ duels of the baroque period and the great cadenzas of the romantic composer/performers. The members of the Core-tet have a long history between them. Guitarist Jon Hemmersam and pianist Michael Jefry Stevens have been performing and recording together for twenty-five years. Mr. Stevens met violist and composer Szilard Mezei in 2007 when they both performed at a festival in Kanjiza, Serbia. Jon Hemmersam and Evelyn recorded their duo CD “Sound Spirits” in 2012. Mezei, Hemmersam and Stevens recorded their improvised trio CD “Upcast” ion 2009. Mezei and Hemmersam have recorded several cds together over the past seven years. Upon Evelyn hearing the trio’s “Upcast” recording, she became determined to join the trio of improvisers in an improvised quartet recording. This recording took place in December, 2016 (eight years after the initial idea). The meeting of these four distinct musical voices was more powerful and profound than anyone expected. The result of that recording is this new project: The Core-tet Project. Evelyn broke new ground at this year’s Edinburgh International Science Festival with the world premiere of the Sounds of Science, an innovative project, which takes its audience on a unique interactive journey through a timeline of science, from the stone ages to the present day using nothing more than sound. Click here to watch a teaser video for Sounds of Science. 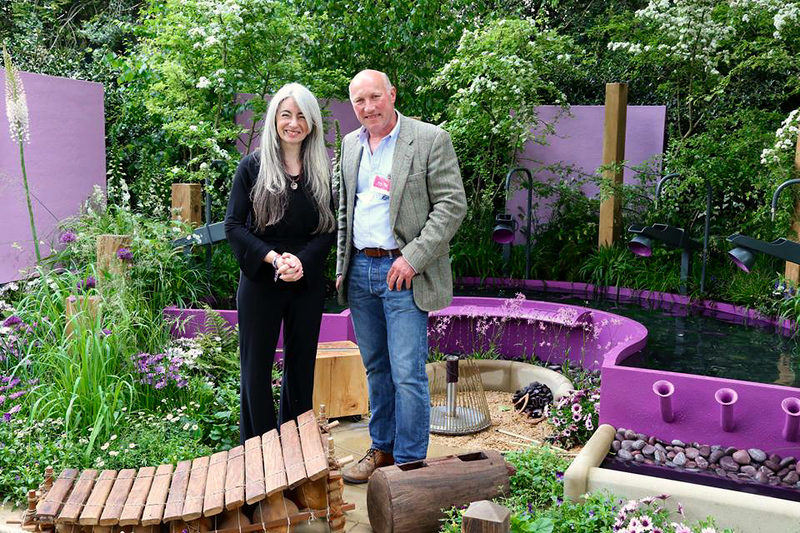 Peter Eustance of Symphonic Gardens has developed an acoustic Artisan Garden for disability charity Papworth Trust, inspired by Evelyn. The Papworth Trust – Together We Can Garden creates an acoustic pulse inspired by Evelyn’s love of the ‘sea music’ produced by the women of the islands of Vanuatu, who create amazing rhythmic songs with just their hands, water and voices. Click the image to see a promotional video for the Together We Can Garden. If you would like to find out more about the Together We Can Garden, click here. 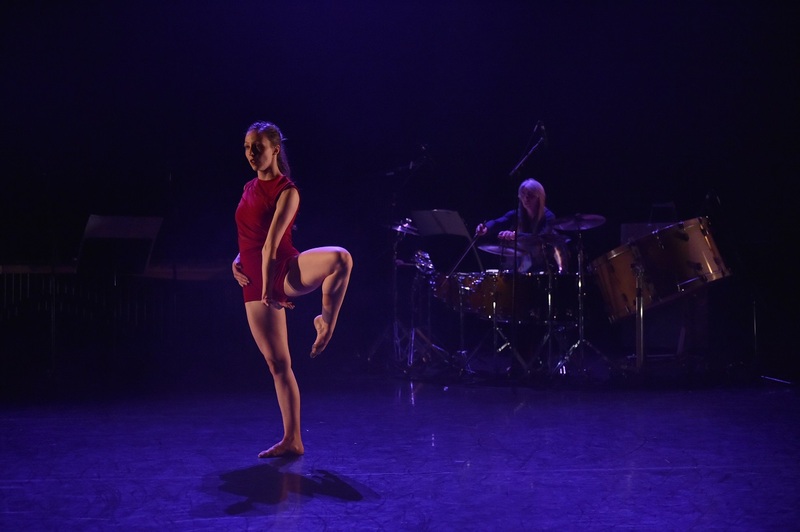 Joss Arnott Dance has joined forces with Evelyn, who collaborated with the company’s renowned composer James Keane, to create the thundering score she performed live on stage for the climax of the triple bill – Wide Awakening. Click the image to watch a video of 5|0 . You can find out more about Joss Arnott, his production company and 5|0 on his official website. If you are interested in booking the show, contact Phil Hargreaves. The brainchild of Russian artist Maria Rud, Animotion shows push the boundaries of visual art and music installation. 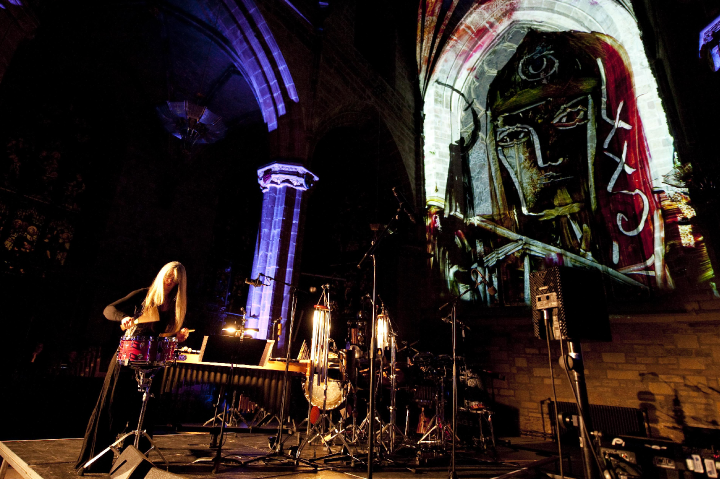 Uniquely blending real-time painting, live musical performance and projection mapping, AniMotion provides a feast for the senses. Projected onto iconic structures, Rud’s paintings, which morph in front of the audience’s eyes, bring our most treasured buildings to life. Live music enrich the soundscape in complete synchrony with the visual transformations. Everybody involved works together as a true ensemble to make the show an unforgettable experience. Evelyn has joined forces with AniMotion to light-up Durham Cathedral, Aberdeen’s Marischal College, Edinburgh’s St Giles Cathedral and Belfast’s City Hall, among others. Click the image to see a promotional video for the AniMotion show. If you would like to find out more about AniMotion, you can visit this website. If you are interested in booking the show, contact Wolfgang Hoffman. More information about Maria Rud can be found here. Fusional Fragments was conceived by choreographer Marc Brew in partnership with DanceEast. The highly evocative score was co-composed by Evelyn and Philip Sheppard. “Fusional Fragments explores the concept of fusing life fragments between classical ballet and contemporary dance. It investigates the influences and differences between the two styles, questioning whether these elements can be fused together or if they should remain as fragments in isolation.” In a breathtaking departure from the norm, Evelyn’s highly gestural performance style – frequently described as a vivid dance-like experience in itself – was integrated into the onstage action. Click the image to watch a video of A Triple Bill – three of Brew’s most acclaimed pieces in one show. Fusional Fragments begins at 25:50. You can find out more about Marc Brew, his production company and Fusional Fragments on his official website. Evelyn’s live webinar with primary school teachers and trainee teachers, celebrated the learning potential of sound-discovery and music-making. The session was devised and run by Webinology and involved schools and universities from across the globe. 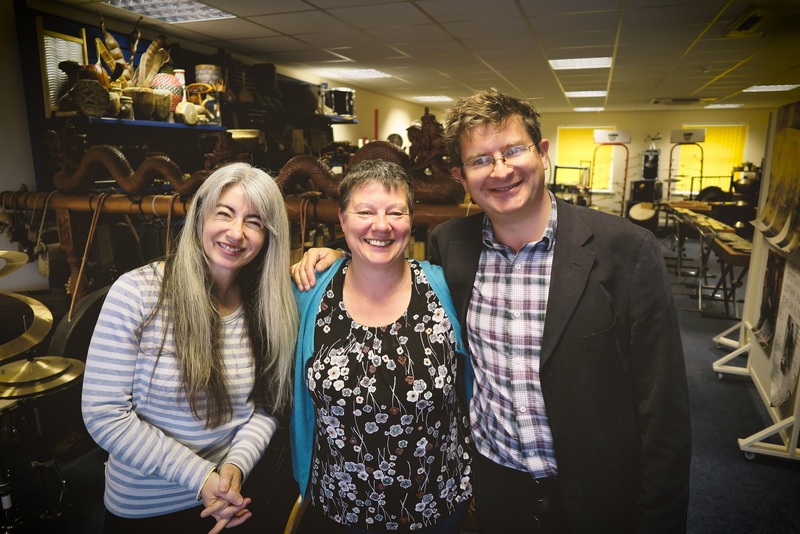 It was an opportunity for Evelyn to further her ongoing commitment to music in education. She said “one of the most important ways to stimulate high quality learning is to equip our teachers with the tools, knowledge and inspiration to build an unforgettable learning experience”. 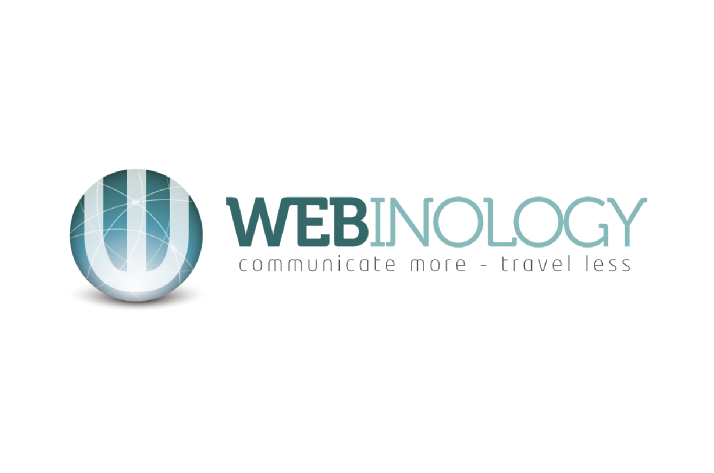 You can find out more about Webinology on their official website. The Joshua Light Show was founded by multimedia artist Joshua White and has been providing visual experiences alongside live music for decades. During the 1960s, White and his cohorts made a name for themselves with colorful, psychedelic projections behind the great bands of the era including The Grateful Dead, Jefferson Airplane, Janis Joplin, Jimi Hendrix, The Doors, and The Who. The group continues to perform across the USA and Europe with a diverse range of musicians. 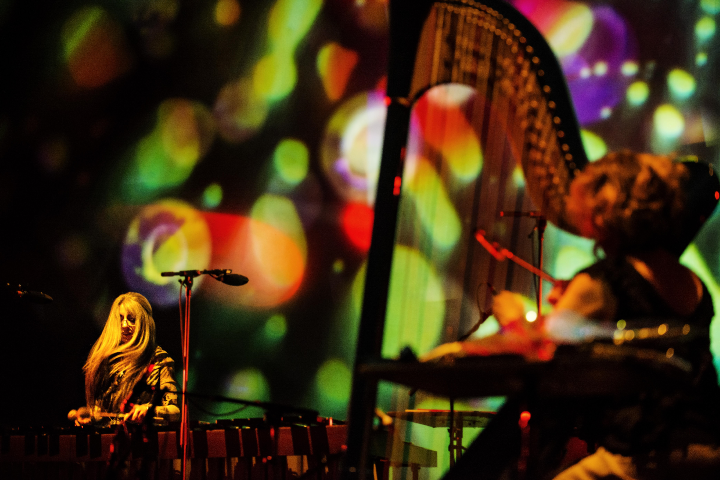 In 2012 they joined forces with Evelyn Glennie and experimental harpist Zeena Parkins for a truly spectacular evening of sights and sounds at the Skirball Center in New York City. Renowned scratch artist DJ Yoda mixes and scratches visuals and sound in the same way most DJs normally work with just audio. He collaborated with Evelyn for a performance in Bodø, Norway, taking Evelyn’s eclectic sense of rhythm and her visually inspiring performance style and remixing it live on-stage. Two diverse artists from totally different backgrounds came together to produce a fast-paced, unforgettable experience. 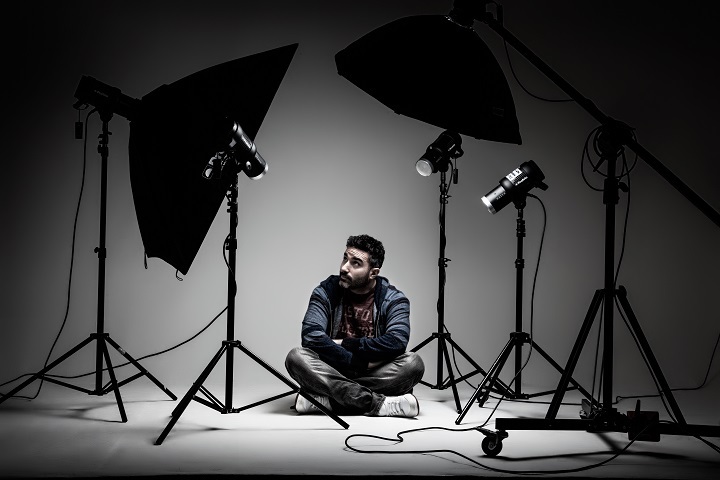 You can find out more about DJ Yoda on his official website. Click the image to watch a video promotion for The DJ & The Dame. Image: © Get Involved Ltd. 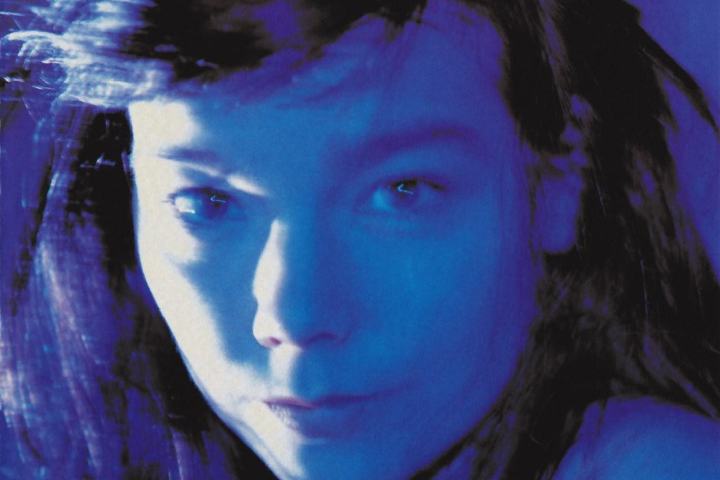 In 1995 international phenomenon Björk visited Evelyn at her home studio to embark on a new collaboration. Evelyn was able to lend her talent and her sound to the famously experimental world of Iceland’s most famous musical export. The duo developed ideas and recorded with ferocious intensity, eventually producing far more material than they needed! Two tracks were eventually released, one by Evelyn and one by Björk. My Spine appears on the album Telegram, which you can find on Björk’s official website here. Oxygen was released on Evelyn Glennie: Her Greatest Hits.